Israeli tech executives, entrepreneurs, and some of Israel’s most prominent mobility and autotech executives will meet in Paris in October for the city's biennial motor show. After hosting tech conferences in Silicon Valley, London, and New York, Calcalist will lead an Israeli delegation to Paris this year. Held in October once every two years, the Paris Motor Show, or Mondial de l'Automobile, is one of the largest auto shows in the world. Over 1.2 million visitors are expected to attend this year's show, which will be held at the Paris Expo Porte de Versailles. The 2018 Paris Motor Show will feature, for the first time, the Mondial Tech, a new event that will bring together businesses across the entire automotive value chain. Mondial Tech will be held on October 2-6 and will be open to industry professionals only. Israel was chosen as a guest state at the event, and the event’s first day will be dedicated to showcasing Israeli technologies and innovation. Calcalist is organizing the events of this day in partnership with events firm Connecting Leaders Club, headed by Valérie Hoffenberg and Ayelet Gurman, with Israeli Bank Hapoalim, and with accounting firm KPMG. The day will begin with a conference on innovation expected to attended by hundreds of visitors, with panels participated by senior automotive and tech executives from the Israel and Europe. Israeli entrepreneurs and startups will present demos and presentations. Stéphane Lasfargue (left), Ami Appelbaum, Ziva Eger, Yuval Diskin. Later that day, a Meet & Pitch session will take place, bringing together dozens of Israeli startups picked by Calcalist and international capital funds, and major business clients. The event will be participated by representatives of companies including Audi, BMW, Michelin, Renault, Valeo S.A., Peugeot, Thales Group, Airbus, Dassault Systèmes, AXA, ODDO BHF, and Faurecia. Ms. Hoffenberg and Fiona Dramon of Israeli Venture firm Jerusalem Venture Partners (JVP) will moderate the conference, which was curated by Calcalist’s Hallel Sella and Ronnie Gillam. The conference will be opened by Jean-Claude Girot, general commissary of the Mondial de l’Automobile. Mr. Girot, an ardent supporter of Israel, has pushed for the focus on Israeli technology after learning about the prominence of Israeli auto technologies. Mr. Girot has held a series of executive roles in the auto industry, including in the in the financial services division of Chrysler Europe, in Renault’s truck division, and in public relations at Volvo France. Valérie Hoffenberg (left), Hagai Zyss, Dror Jerushalmi, Jean-Claude Girot. Among the international speakers will be Stéphane Lasfargue, head of innovation and sustainable development at Groupe Renault. Christian Peugeot. Peugeot is the CEO of LFPF-La Française de Participations Financières and the director of communications and brand strategy at Peugeot. François Robinet. Robinet is a managing partner at AXA Venture Partners, specilizing in financial innovation and risk management. Jean-Marie Letort. Letrot is the vice president of cybersecurity consulting and evaluation at Thales Group, a multinational electrical systems company that is among the leading service providers in the world for the aerospace, defence, transportation and security markets. Laurent des Places,a partner at KPMG and head of the accounting firm's France auomotive unit. Yuval Diskin, former director of the Israeli Internal Security Service and a co-founder of cyber startup CyMotive Technologies Ltd. CyMotive develops cybersecurity solutions for autonomous and electric vehicles and employs dozens of people in Israel and Germany. Haim Pinto, chief technology officer at Bank Hapoalim. Pinto will head a delegation of auto-related startups. Zohar Zissapel. A serial entrepreneur and venture capitalist, Zisapel co-founded automotive cybersecurity company Argus Cyber Security Ltd.
Gil Brandes. A partner, and of the tech practice, at Israeli law firm Naschitz, Brandes, Amir & Co.
Ami Appelbaum, chief scientist at the Ministry of Economy and Industry and chairman of the Israel Innovation Authority. One of the leading figures of the Israeli tech world, he was previously the president of KLA-Tencor Israel. Erez Lorber is the chief operating officer of Israel-based quick-charging battery startup StoreDot Ltd. Six years after it was founded and before it launched a single product, Storedot is already valued at $500 million. The company raised $130 million to date from private investors Roman Abramovich and companies including Daimler AG, Samsung Ventures, Tokyo-headquartered TDK Corporation, and BP Ventures. Raviv Melamed. Vayyar Imaging Ltd., co-founded by Melamed, was ranked second in Calcalist’s 2018 list of most promising Israeli startups, published in April. Vayyar’s technology uses a system of sensors capable of “seeing” through solid objects and composing an accurate three-dimensional image. Vayyar raised $79 million in investments to date. Omer Keilaf, CEO of Israeli LiDAR startup Innoviz Technologies Ltd., is at the forefront of the autonomous vehicle industry. LiDAR is an imaging technology that uses lasers and sensors to measure distances between objects, creating 3D representations of the surrounding environment. Innoviz develops and markets low-cost, small-size LiDAR systems designed to enable the mass commercialization of autonomous vehicles. The company’s automotive-grade LiDAR, is set to become available in 2019. In April, it was selected by BMW for the company’s autonomous vehicles expected to hit the market in 2021. Ofer Ben-Noon. Automotive cybersecurity company Argus Cyber Security, co-founded and led by Ben-Noon, was acquired in 2017 by German car part manufacturer Continental AG. Founded in 2013, Argus develops software that detects and prevents digital interferences with critical auto systems by monitoring in-car communications. Karina Odinaev (left), Amos Haggiag, Omer Keilaf, Ofer Ben-Noon. Bruno Fernandez-Ruiz. Nexar Ltd., which develops computer vision and automation technology for cars, will be represented at the conference by co-founder and chief technology officer Fernandez-Ruiz. Nexar’s app turns smartphones into smart dash cams that utilize AI technologies to detect driving hazards. Dror Jerushalmi. Automotive chip company Valens Semiconductor Ltd. will be represented by Jerushalmi, the company's co-founder and CEO. The company develops semiconductor products designed for the distribution of uncompressed high-definition images and audio in speeds of up to eight gigabits per second, a technology used in connected and autonomous cars. Hagai Zyss is the CEO of vehicle communication company AutoTalks Ltd., which develops semiconductors for vehicle-to-vehicle communications in autonomous cars. AutoTalks raised $80 million in total funding to date. In 2016, Japanese auto electronics manufacturer DENSO Corporation announced it will incorporate AutoTalks’ chips in its vehicle-to-everything (V2X) platform. Public transportation scheduling and optimization startup Optibus Ltd. will be represented by co-founder and CEO Amos Haggiag. Optibus develops a cloud-based, deep learning and artificial intelligence-fueled platform for real-time fleet management of public transport. Optibus software is available in more than 200 cities worldwide. Karina Odinaev is co-founder and chief operating officer of Cortica Inc., a developer of image recognition technology designed for use in autonomous cars. The company raised $38 million to date. Nir Erez, co-founder and CEO of public transit app Moovit. Ziva Eger, chief executive of Foreign Investments and Industrial Cooperation, Ministry of Economy and Industry. Eger was previously chief of staff at the Ministry of Communications and Ministry of Home Front Defence. Yoav Levi, co-founder and CEO of automotive cybersecurity startup Upstream Security Ltd.
Bruno Fernandez-Ruiz (left), Raviv Melamed, Yoav Levi, Ben Volkow. Ben Volkow, founder and CEO of car data broker Otonomo Technologies Ltd.
Amit Nisenbaum, CEO of intelligent vehicle data company MobiWize Solutions Ltd., which will be officially unveiled at the conference. According to Nisenbaum, the company's technology enables autonomous vehicles to "feel" the road using tactile data and artificial intelligence. Gil Brandes. Partner, head of high tech practice, Naschitz Brandes Amir. Gil Brandes specializes in tech and venture capital transactions, corporate law, commercial transactions, and securities law. He was noted by both Chambers and Legal500 as a leading lawyer in the tech practice. Pinhas Buchris, general partner at Tel Aviv-based venture capital fund State of Mind Ventures. 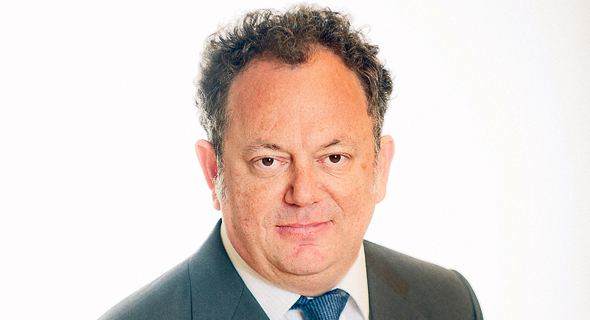 Philippe Guez, founder and CEO of cross-border mergers and acquisitions firm Guez Partners. Michael Granoff, founder of autotech-focused venture capital firm Maniv Mobility. Israeli entrepreneurs attending the Meet & Pitch event will get to meet leading multinational companies scouting for innovation, including Renault, Peugeot, Airplane manufacturer Airbus SE, French tire manufacturer Michelin, and France-headquartered Valeo, one of the world’s leading automotive suppliers, and Faurecia. In recent years, Valeo has been specializing in designing and manufacturing systems for smart cars and cameras for autonomous vehicles. One of every four cars in the world uses parts manufactured by Faurecia, which counts Peugeot, Renault, Ford, GM, Daimler, and BMW among its customers.